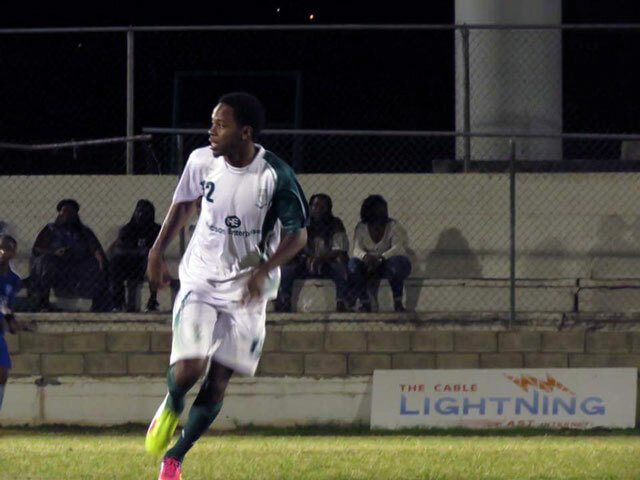 Basseterre, St. Kitts-Hobson Enterprises Garden Hotspurs now lead the St. Kitts Nevis Football Association (SKNFA) Premier League after a narrow victory over the 4G Cayon Rockets. On Saturday evening the Cayon side suffered a 2-0 defeat at the hands of S. L Hosford’s St. Pauls United. The defending champions Cayon got the ground running early and almost opened the scoring through a strike from Carlos Bertie but was denied by the St. Pauls goal keeper who blocked the shot that was heading to the top corner. On the other end of the field Terrance Warde had an opportunity for St. Pauls and was the only other major highlight for the first half. However the second half saw a lot better football from both sides and saw Bertie missing a simple opportunity to give team the lead. Shortly after, the St. Pauls team took the lead through a deflected strike from Keithroy Freeman in the 60th minute. Freeman then added a Second to stop Cayon’s hopes of a comeback and end the St. Pauls slide without a victory. Also on Saturday the Old Road Jets displayed a fighting spirit against Sol Island Conaree which needed a late goal to secure the three points. The Conaree team came with wave after wave of attacks but a sturdy and resistant Old Road defense weathered the storm and threatened Conaree on the counter attack. The breakthrough finally came in the 56th minute through a strike from Jean Pierre Gardy . What seemed like it would have sizzle out to a comfortable win for Conaree then produced an exciting finish when Kendale Liburd capped off a brilliant team goal to pull the team level in the 81st minute. Old Road had the opportunity to take the lead and shock the Conaree team but was denied by the goalie. However while trying to play the ball out of defense, an Old Road defender was robbed and led to a Conaree break away that was finished with a simple tap in by Glenroy Samuel and leave the Old Road players gutted to have gave away such an opportunity. On Sunday the Hobson Enterprises Garden Hotspurs capitalized on Cayon shortfalls and move to the top of the standings with a narrow victory over a stubborn St. Peters side. The Garden Hotspurs had to wait until the 73rd minute before they found a breakthrough from a strike from Tiran Hanley. Sunday saw a Basseterre derby matchup between fierce rivals Rams Village Superstars and Winners Circle Newtown United. However it was the Superstars team that won this time around to continue its winning spell since its triumph in the Carnival Cup to record a 1-0 victory when a draw seemed certain. An 82nd minute strike by Kimare Rogers powered his side to another victory.